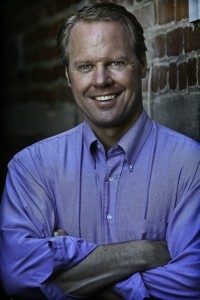 My name is Dan Warner and I’m a leading headshot photographer based in the Los Angeles area. Having been in the industry myself for many years, I’ve had extensive experience of working with actors and performers, knowing just what is needed to capture their essence and character in order to showcase their talent. And from working with people whose talent is their livelihood, I know how to highlight the professionalism and power of those in the corporate world: executives and business professionals. As you’ll see, my work speaks for itself, as does the results. Over the years, I’ve gained a reputation for creating unique headshots that make a statement, creating “stand out and be noticed” photographs that will capture the attention of any audience. I know it’s cliché but it is true that the eyes are the window to the soul. My headshots capture a look, a glance, a nuance that brings a two dimensional image to life. A headshot that focuses on your eyes tells your story to casting directors. Whatever you want to communicate, I can capture with authenticity – ensuring your professional success. I have also had great success in the entertainment industry not only as a photographer, but also as an actor, best known for my award winning commercials and over 25 prime time network shows.